Explore with confidence thanks to the 2019 Toyota Highlander. This capable three-row SUV is powerful, versatile and has everything you need for a great journey. 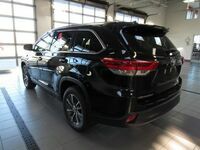 The 2019 Toyota Highlander drives with precision and sophistication all while keeping the cabin comfortable. 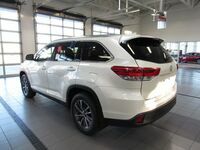 In fact, all 2019 Highlander models are standard with a long list of features, including a rearview camera, a 6.1-inch touchscreen, five USB ports, Bluetooth, a six-speaker sound system with a CD player, heated mirrors and much more. Best of all, the Highlander’s spacious cabin makes loading and unloading easy. The new SUV has up to 83.2 cu.ft. of cargo space, plenty of small-item storage and seating for up to eight people. The 2019 Toyota Highlander also has a towing capacity of up to 5,000 pounds, which gives the SUV even more capability. 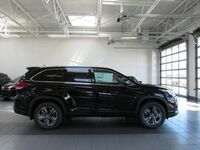 The 2019 Toyota Highlander boasts impressive towing capabilities and smooth handling thanks to its powerful engine choices, including a 185-hp, 2.5-liter four-cylinder and a 295-hp, 3.5-liter V6. 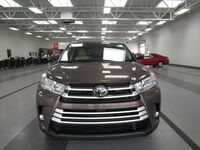 Passengers and drivers alike are sure to enjoy the 2019 Toyota Highlander’s easy-to-navigate, cavernous interior with plush seats and a long list of entertainment and convenience features. 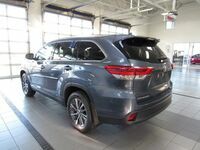 All 2019 Highlander models come equipped with the Toyota Safety Sense suite of technologies, which include automatic high beams, adaptive cruise control, lane keeping assist and forward collision warning with emergency braking. The new Highlander has many strengths, but where it really shines is its powerful engine option, smooth handling and a generous selection of high-tech safety features. Choose from six trims, including the LE, LE Plus, XLE, SE, Limited and Limited Platinum. All models are equipped with front-wheel drive, but V6-powered models do have the option of all-wheel drive. How will you build your 2019 Toyota Highlander? 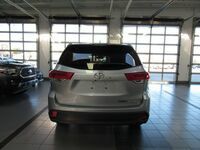 We invite you to explore all the options at Le Mieux Toyota! We have an incredible selection of Highlander models and a friendly team of experts who can answer any questions you might have. Stop by and see us today!